Super Savings Item! 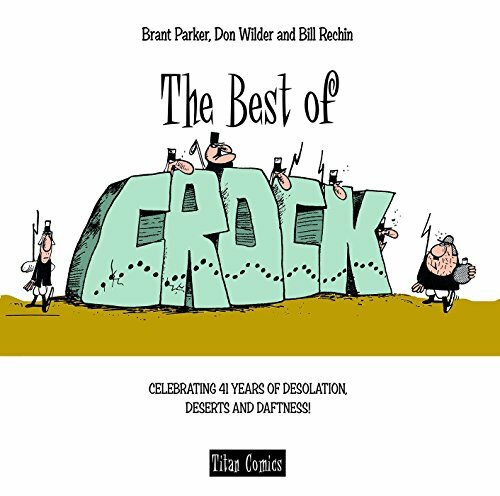 Save 36% on the The Best of Crock by Titan Comics at Book Sellers Union. Hurry! Limited time offer. Offer valid only while supplies last. It's fun being in the Foreign Legion, unless of course you're stuck in a desolate fort under the tyrannical rule of a Commandant called Vermin P.
It's fun being in the Foreign Legion, unless of course you're stuck in a desolate fort under the tyrannical rule of a Commandant called Vermin P. Crock then it's just hell! Welcome to the desolate fort of Commandant Vermin p. Crock. If you have any questions about this product by Titan Comics, contact us by completing and submitting the form below. If you are looking for a specif part number, please include it with your message.